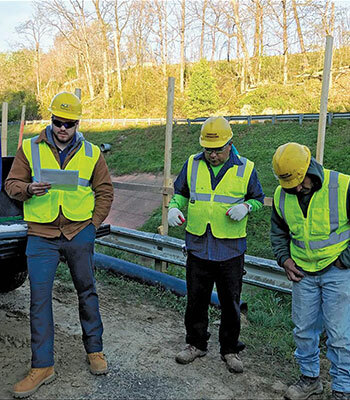 ACE partners with leading engineering and construction management schools such as Pittsburgh, Maryland, Drexel, Virginia Tech, Georgia Tech, Norwich, and Penn Tech to offer students a cooperative education experience. In the Co-op program, college students gain valuable experience working full-time for a semester or summer break. Co-op interns are given the opportunity to gain a wide range of experience. Our objective is to assist our interns in developing their engineering and construction management skills. 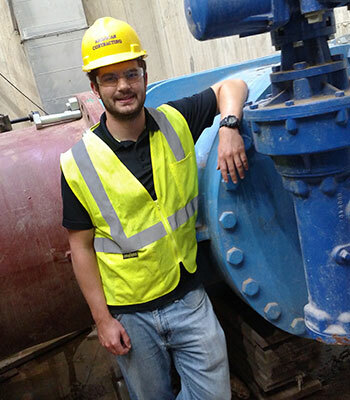 Our project assignments offer interns a challenging and rewarding experience. We provide a variety of work assignments from onsite engineering at a construction site to working on competitive estimates in our main office. ACE's Co-op program allows interns an opportunity to make an immediate impact while learning how our water infrastructure is built. My time as a summer intern at ACE is coming to a close once again. Just like last summer, after working on preconstruction for Joppatowne WWTP and ARE UV Disinfection, I have expanded my knowledge of the construction industry and made many memories in doing so. I have spent the past few months working at ACE's new Equipment Yard Warehouse. Whenever people ask me what I do at my internship, I tell them it's a combination of ensuring the warehouse project runs smoothly from the office trailer and also getting my hands dirty outside the office trailer. In general, everyone at ACE has trusted me with responsibility and given me interesting opportunities, such as researching Building Information Modeling (BIM) and drones. Thank you to everyone for having me back a second time. My summer here has been a whirlwind of experiences to say the least. I got the pleasure of working with Brandon Lumm, Todd Ritenour, Brandon Sambataro, and Jason Brown on the RAW WWPS-2 Upgrades project. With graduation in the near future, it is nice to know that my time at ACE has helped me hone in on what I want to do in my future career. Wherever my career takes me, it is comforting to know that what I learned with ACE will be the solid foundation my career is based on. Overall, I just want to thank everyone who helped me over the summer. It was a great experience, and I wouldn't want to trade it for anything. Had you asked me prior to my time at ACE what field I wanted to end up in my answer would have been, "Pretty much anything besides Civil and Construction." I always dreamed of working for a defense contractor or in the automotive industry. But, in working with ACE, I have realized that I fit in quite well in the construction industry. 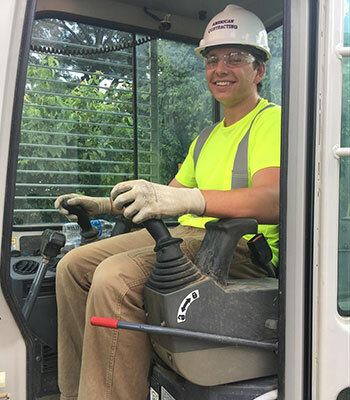 ACE has definitely changed any misgivings I had about working in construction and I have enjoyed my time here and learned a lot. Students will work with the estimating team in the preparation of competitively bid project-cost estimates. These are on-site location assignments for one of ACE’s many projects around the area. The individual will become part of our construction team and directly assist project management and field supervision in construction operations. These assignments are for students who want to be more involved in the actual construction work being performed on our projects. Our superintendent Co-ops also work at our project job sites, working directly with our field crews performing the construction. Students receive real-world, hands-on training from our experienced trademen. This assignment would be a pre-cursor to our Superintendent-in-Training program which can be viewed in detail on our Career Development page.